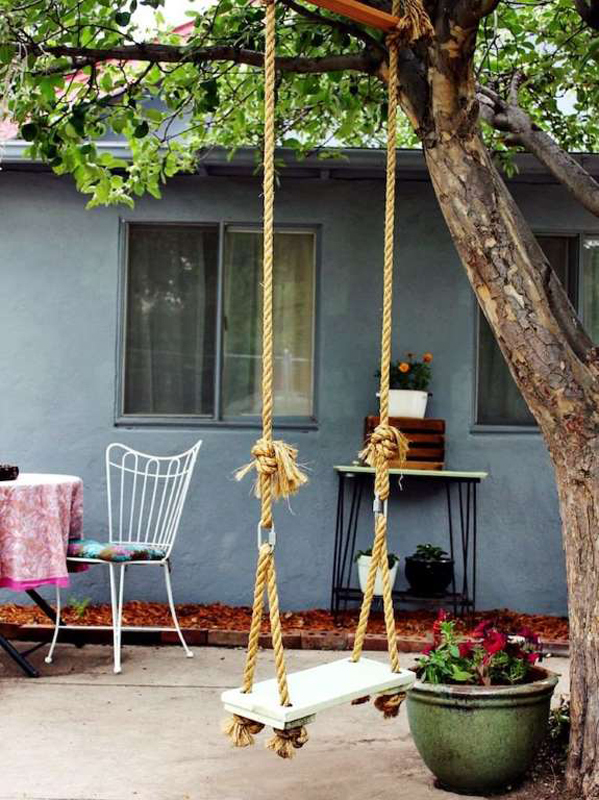 If you’ve got rope, a board, and a free afternoon, you have most of the ingredients for a tree swing! Drill a couple of holes into a sanded plank of wood and secure it with rope. Use a ladder to reach a large branch on a healthy tree and loop a chain over the branch. Attach a properly knotted rope to the chain and the board. 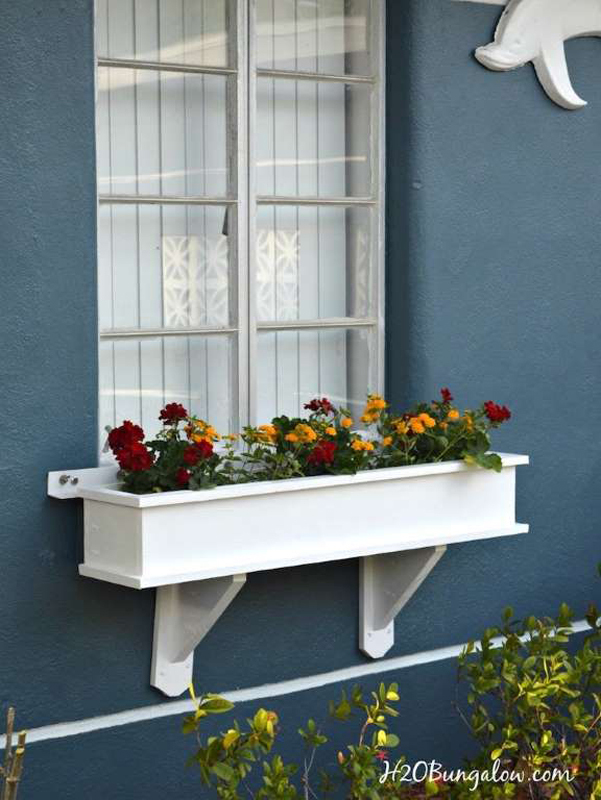 Even if you're not an expert woodworker, with the right tools you can build your own window box in a day. You'll need a table saw (or boards precut to the inside width of the window frame), sandpaper, safety goggles, a drill and screws, and paint or stain. There are as many bird feeder designs as there are backyard birds. You can make your own feeder from almost anything, including upcycled cans, teacups and saucers, and peanut butter and pinecones. 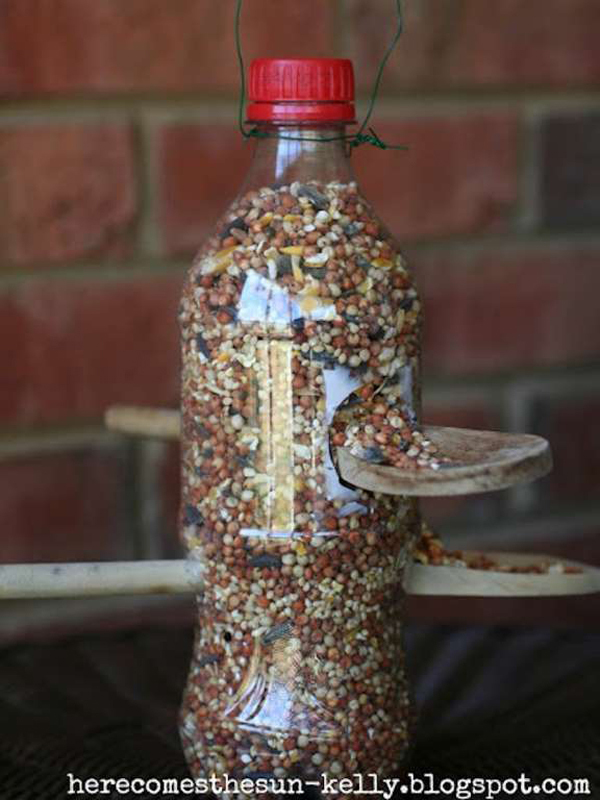 Kelly, from Here Comes the Sun, shares an easy DIY for making a feeder with recycled plastic bottles and wooden spoons. 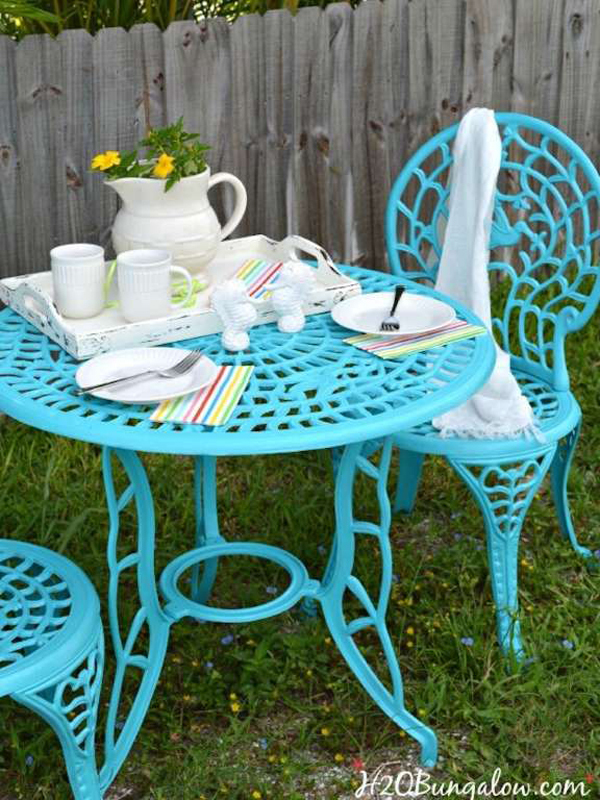 If your lawn furniture is looking a little tired, perk it up with a good scrub and a fresh coat of paint. Buff rusty metal furniture clean with steel wool. Vinyl cushions can be cleaned with a mixture of dishwashing soap, borax, and warm water. Let the mixture sit for 15 minutes, then rinse. Finish with a colorful coat of spray paint. 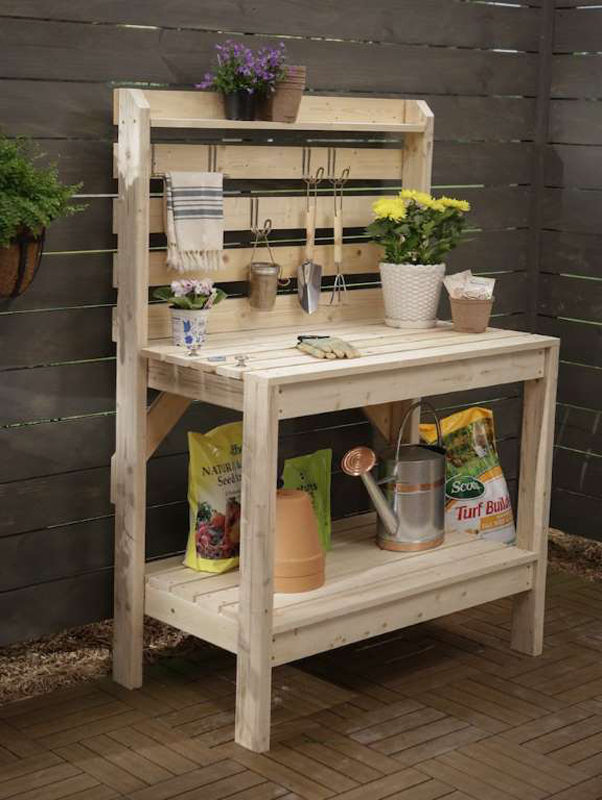 A potting bench can be a practical workspace as well as a rustic accent for your deck or garden. You can build one like this from lumber or try upcycling an old dresser, replacing the drawers with shelf slides for convenient pull-out storage. The amount of time spent laying a new path depends entirely on its length and the materials you use. 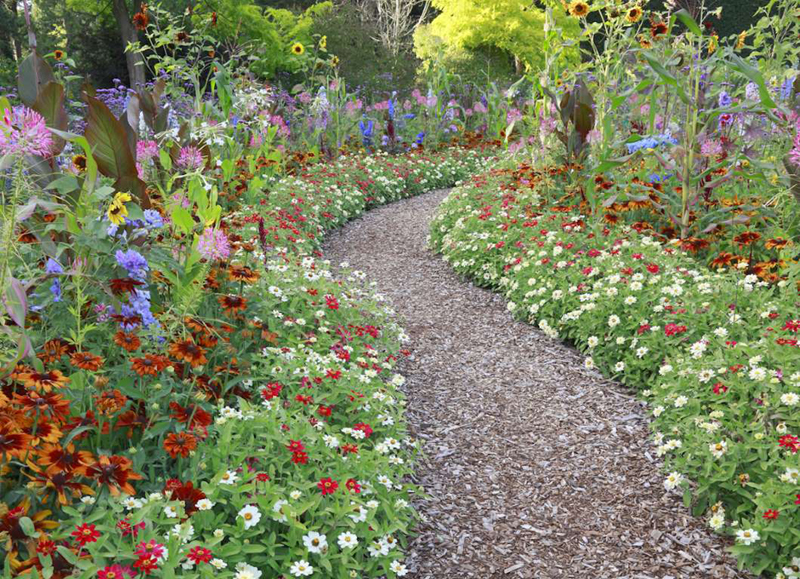 Mulch is the quickest and most economical material for a garden path, but gravel, bluestone, and brick are great options if you're willing to spend a bit more. Give an existing path an upgrade with new edging made of metal, stone, bricks, or even wine bottles. 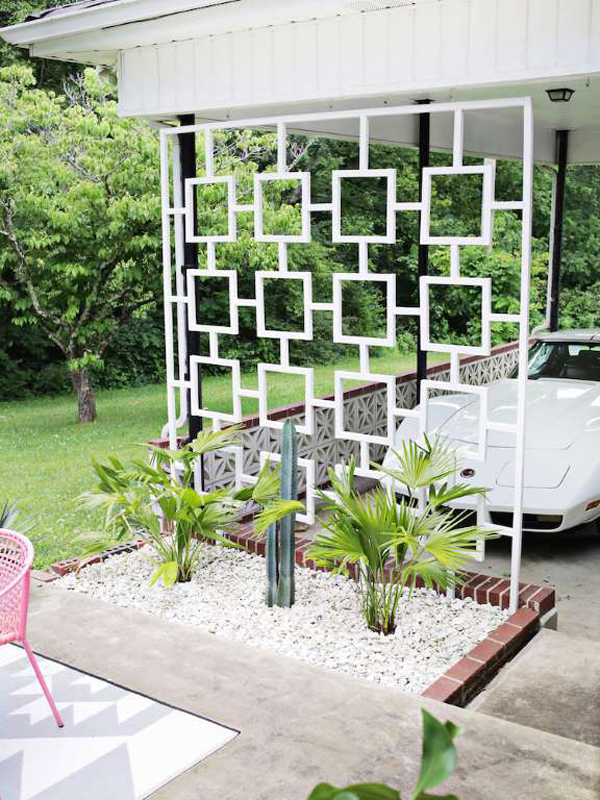 If climbing vines grow in your garden you probably already have a trellis, but if you don't, make one this weekend. 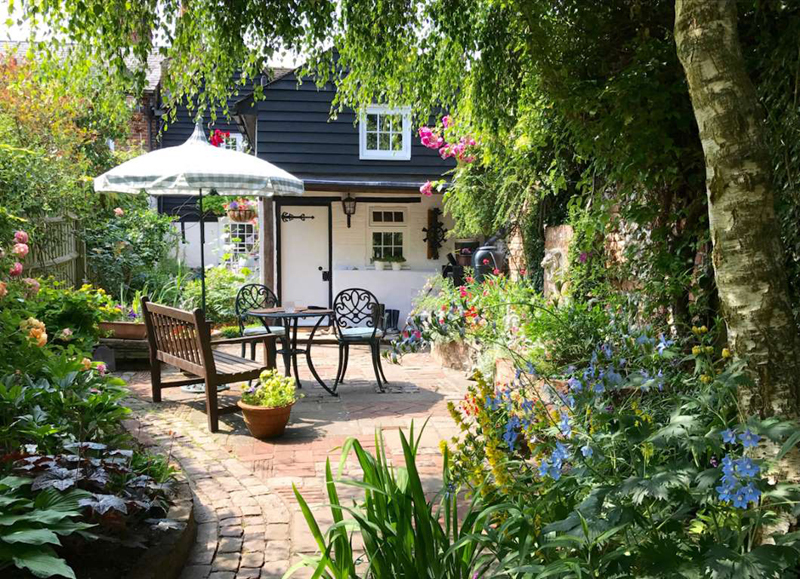 The garden feature isn't only for keeping control of your flowers, as this tutorial from A Beautiful Mess shows it also makes a great yard barrier. The best raised garden beds are no more than three or four feet wide to allow gardeners easy access for planting, weeding, and harvesting. 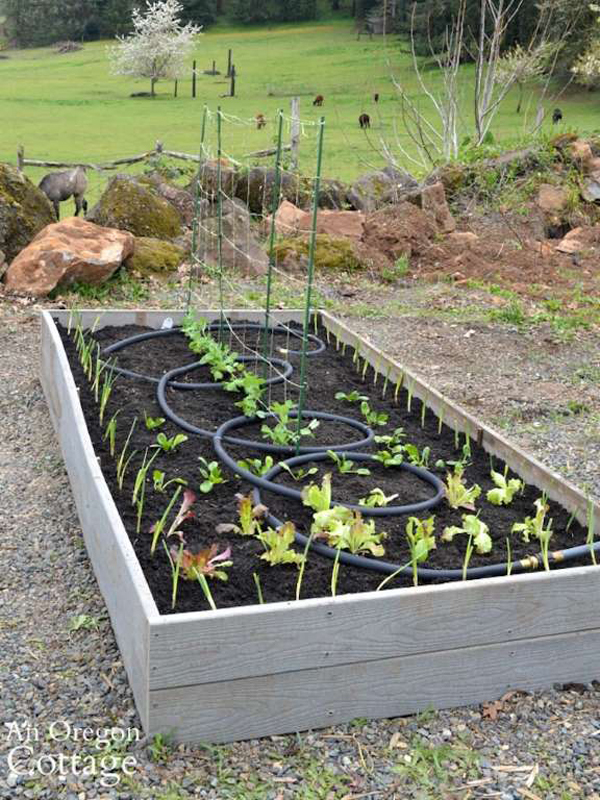 Raised beds allow for proper drainage and greater control over the growing medium, so you can raise your own fruits and vegetables even if your region's soil isn't the most arable. Looking at this bird bath you might never guess that it started its life out as a candlestick! 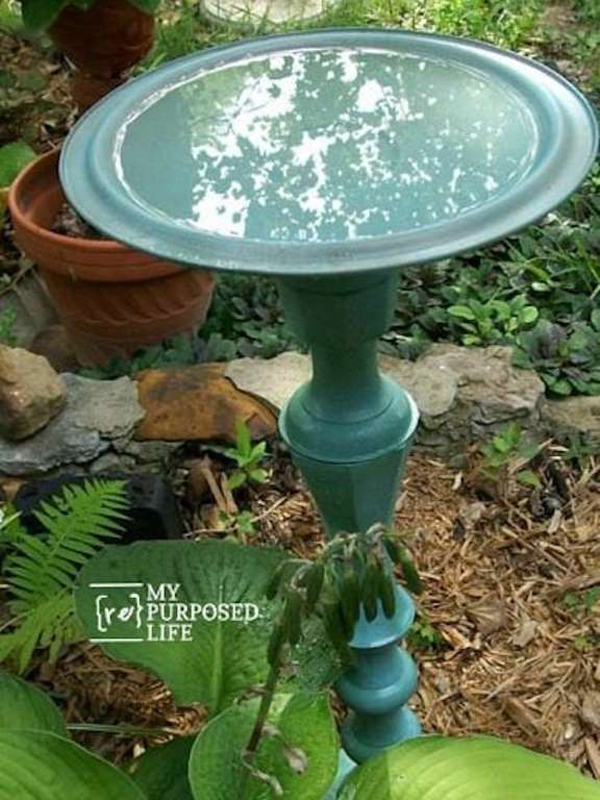 With a little TLC and spray paint, Gail at My Repurposed Life was able to transform the thrift store find into a bird bath. Turn kitchen scraps and yard waste into nutrient-rich soil by composting—and build a simple compost bin while you're at it! 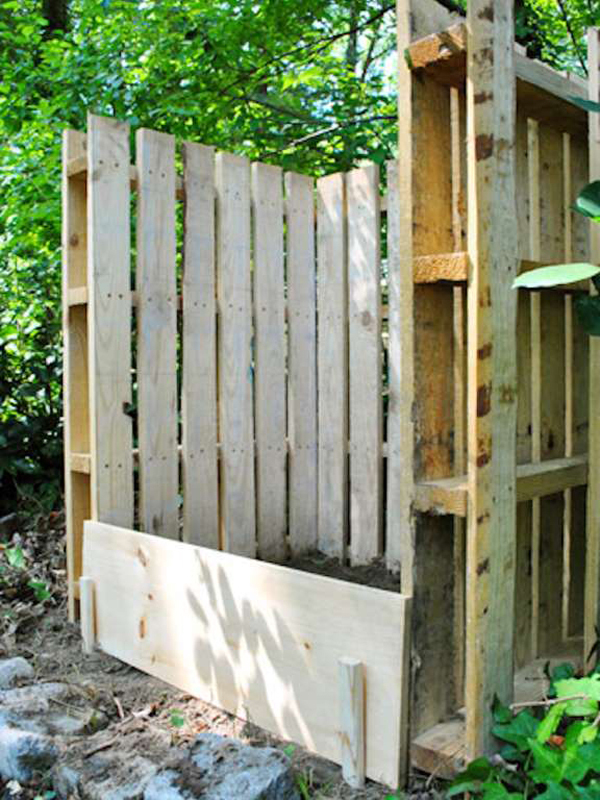 This backyard bin was built from wood pallets. To re-create it, you'll need three pallets, wood screws, and an electric screwdriver.